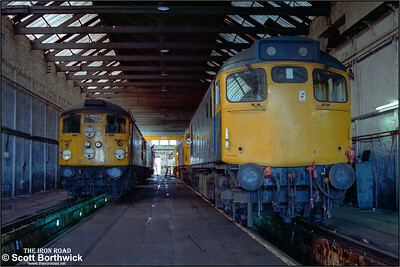 27066 and 26015 stand inside the shed at Inverness TMD on 21/07/1983. 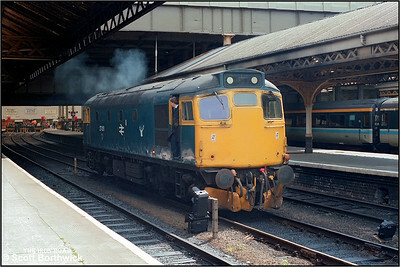 27051 stands at Edinburgh Waverley awaiting to work 2J05 1115 Edinburgh Waverley-Dundee on 20/07/1985. 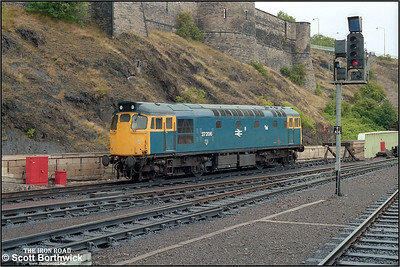 27206 stabled at the east end of Edinburgh Waverley at 1127 on 20/07/1985. 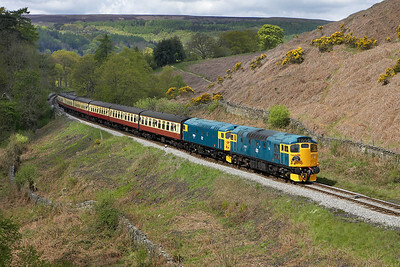 27001+26024 make a fine sight as they climb up to Goathland at Thomason Foss on 13/05/2005 with the 1145 Grosmont-Pickering service. 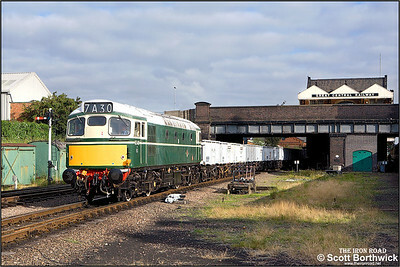 26024 wasn't performing too well at this point with 27001 doing all the work. 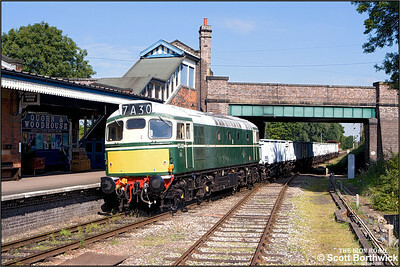 It was removed at Pickering where repairs were undertaken enabling it to resume its duties later in the day. 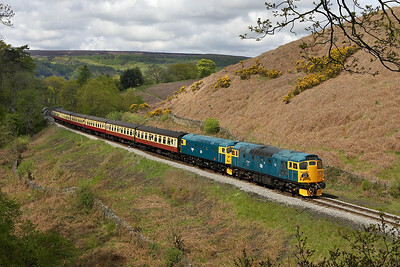 27001+26024 climb up to Goathland at Thomason Foss on 13/05/2005 with the 1145 Grosmont-Pickering service. 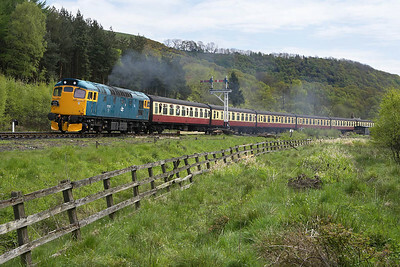 With the earlier failure of 26024, 27001 returned with the 1315 Pickering-Grosmont service single handed. 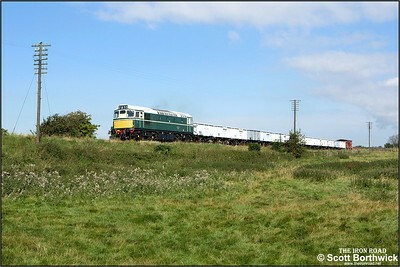 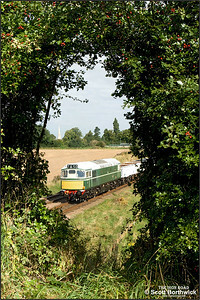 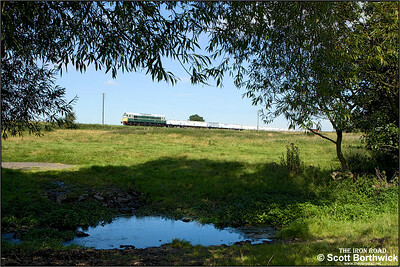 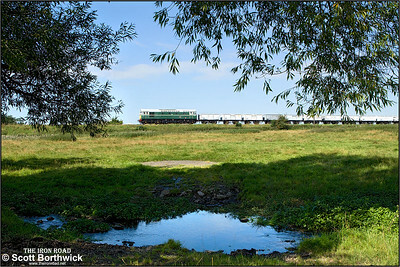 The train is seen here decending the bank at Thomason Foss on 13/05/2005. 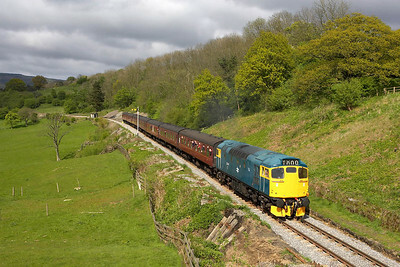 27001 tackles the grade at Green End with the 1545 Grosmont-Pickering service during a brief burst of sunshine on 13/05/2005. 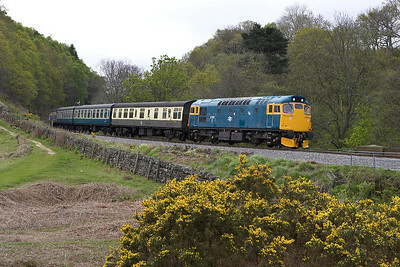 27001 brings up the rear of the 1715 Pickering-Grosmont service at Esk Valley on 13/05/2005. 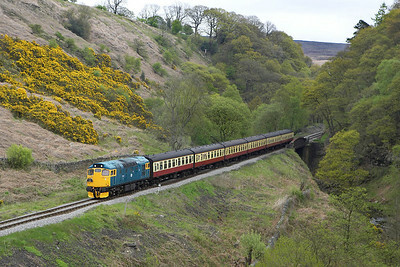 27001 passes Darnholme with the 1025 Goathland-Grosmont shuttle on 14/05/2005. 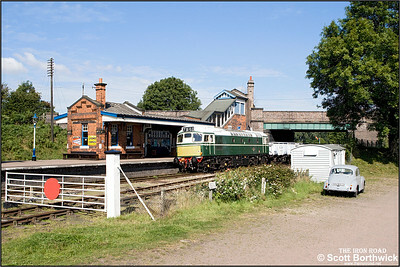 27001 passes the peg at Green End whilst working the 1145 Grosmont-Pickering service on 15/05/2005. 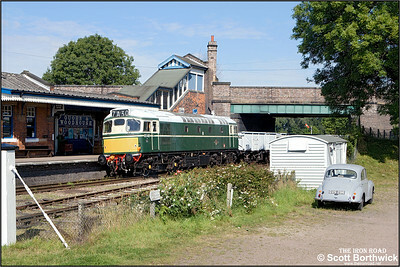 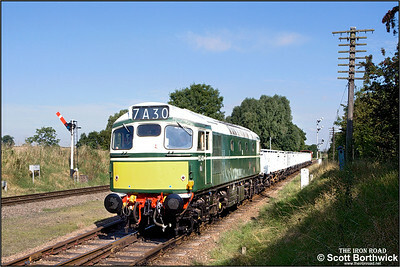 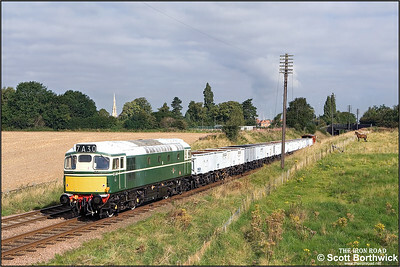 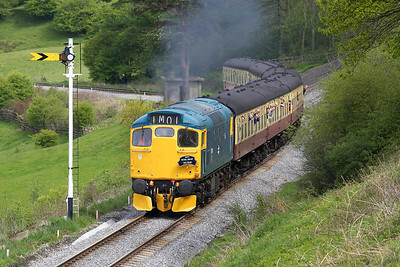 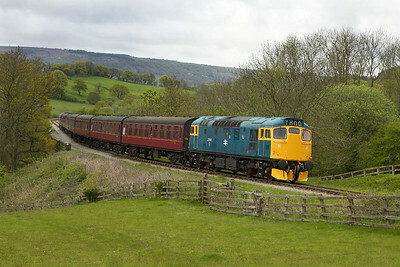 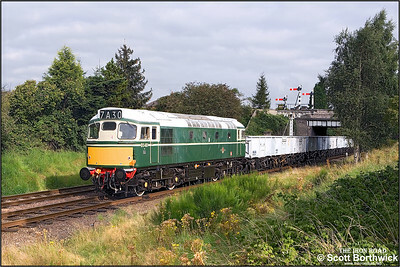 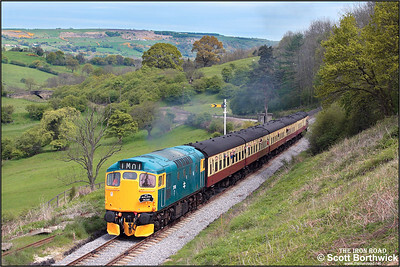 27001 is pictured climbing the bank at Green End whilst working the 1145 Grosmont-Pickering service on 15/05/2005. 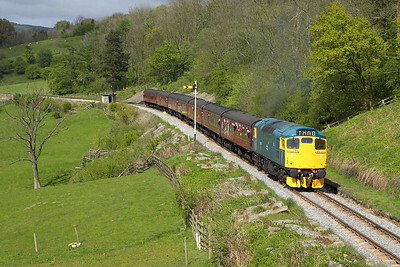 27001 is seen departing Levisham on 15/05/2005 with the 1315 Pickering-Grosmont service on 15/05/2005.